What Iron Supplements Can Gastric Bypass Patients Take? Diagnosis of MS is a complex process involving a number of steps. 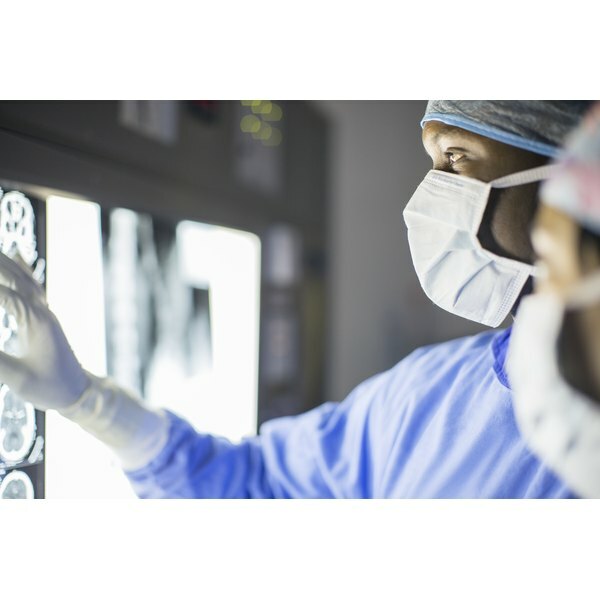 The diagnostic process is composed of a detailed history of all neurological changes provided by the patient, a neurological exam done by a neurologist or MS specialist, testing by magnetic resonance imaging (MRI) and a blood test. There is no single diagnostic method, blood test or MRI picture that would establish or dispute the final diagnosis. While MRI testing allows us to diagnose patients earlier, diagnosis is never made based on MRI changes alone. The diagnostic process starts with a detailed report of all neurological events that has happened in the past. Patients are asked to provide chronological history, starting with the earliest event, describing exact changes they felt. Symptoms must last at least 24 hours to be considered an MS activity. Important additional details of each symptom include the type of onset (sudden or gradual), type of improvement (complete or partial) and duration of the event in days or weeks. Establishing a pattern of the disease activity and rest periods (relapses and remissions) or gradual worsening (progression) can only be complete by recounting a thorough, detailed history. The neurological exam translates patients’ symptoms into objective findings of changed function. It is a crucial part of diagnosis and requires patients’ cooperation and effort. This exam tests various parts of the nervous system: vision, strength and function of various facial muscles, strength and function of all four extremities (including fine motor movements) and ability to feel different sensations, such as light or sharp touch, temperature and the position of fingers and toes. Balance is usually tested by performing various walking tasks (i.e., walking a straight line with toes and heels touching). Walking ability is tested by performing a 25-foot-long speed walk as well as walking on heels and toes. Imaging tests using MRI allow us to make MS diagnoses faster and with higher precision. The newest diagnostic criteria for MS include MRI as a crucial part of the diagnostic process. MRI uses large magnetic fields and radio waves to create a detailed picture of a patient’s brain and spinal cord. It is a painless procedure, but requires absolutely no movement. It is also known for rather loud noises produced by the machine, but noise-cancelling headphones and music are usually available. The imaging tests for MS last between one and two hours. The MRI produces images of the brain and spinal cord where lesions show up as white spots. Because many different diseases can cause lesions in the brain, only lesions of certain sizes, shapes and positions are considered to be caused by MS. Contrast dye helps to uncover active or new lesions. Actively inflamed MS lesions are able to absorb the dye and appear to be shining on an MRI. The enhancement can last up to three months, after which the inflammation resolves and the lesion forms a scar, which is still visible on the MRI. A spinal tap is another procedure used in the diagnostic process, though now with somewhat decreased frequency because of the preference of MRIs. A spinal tap samples cerebrospinal fluid, fluid present in brain chambers and the spinal cord canal. Specifically in MS, the presence of special antibody markers called oligoclonal bands are indicators of inflammation in the brain and spinal cord. A spinal tap is a small invasive procedure closely resembling the epidural anesthesia used during childbirth. The patient is placed either in a sitting or lying position with the chin as close as possible to the chest. This allows for space in between the bones in the back to open up for needle placement. After the area is numbed with local anesthetic, a spinal needle is placed and a sample of fluid is obtained. Remaining still and retaining the correct position is crucial for a successful spinal tap. After the procedure patients are usually observed for a brief period of time to ensure there are no further complications. Mild back pain and headache can be experienced after a spinal tap. Headache typically appears while sitting or standing and resolves quickly after lying down. It is caused by a temporary change in pressure after the spinal fluid removal. It is uncomfortable but not dangerous and usually resolves after a few days of rest. Caffeinated beverages are recommended to relieve post-tap headache. As mentioned previously, there is no blood test used specifically to establish MS diagnosis. Blood tests routinely used are performed to test for and exclude diseases that can mimic MS and cause similar symptoms and lesions on an MRI. Commonly performed blood tests include thyroid-function tests, measurement of vitamin B-12 and folate levels, as well as tests for rheumatological diseases, such as lupus, Sjogren’s syndrome and others. Vitamin D level is also commonly tested by most, if not all, MS neurologists. Current practice is to test the levels and use supplements to maintain normal-to-high levels of Vitamin D.